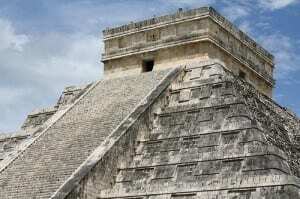 The Mayan Calendar that supposedly has predicted the end of the world (December 21 of this year, by the way) has been cancelled out thanks to a new discovery. The oldest Mayan calendar has just been discovered deep in a Guatemalan rainforest by Boston University’s archeologist William Saturno. This Mayan calendar goes well beyond this year’s doomsday prediction. That’s when he saw a mural of a kind and the oldest Mayan calendar, to date. “The calendar seemed to have been added after the murals were completed, as some of the numbers cover up painted figures on the wall. It’s almost as if an ancient scribe got sick of flipping through a document to find his timkeeping chart and decided to put it on the wall for at-a-glance reference,” reported CS Moniter. The complicated hieroglyphics of the Mayan calendar is a big find because the only other calendar and astronomical tables came from the Dresden Codex, which dates back around the 11th or 12th century. This new Mayan calendar, painted in black and red, is dated around A.D. 800.